Feature Teaser: DIYthemes Thesis 1.7 Coming Soon! Bloggers and web developers who are currently using Thesis theme probably excited for the release of the theme's new version. Thesis 1.7 is coming very soon for the next few more weeks and is ready to optimize the web again. As Chris Pearson noted, "I'm going to release 1.7 Thesis over the next couple of weeks. Developers will get a beta version, and then everyone will get the final release once squashed bugs are (I like to think there will be any bugs, but then again, I WOULD think that :D)." 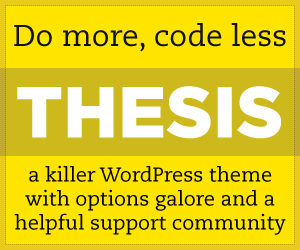 Last week, I have received an email from the DIYthemes Community reminding all of us members, that Thesis 1.7 will be release soon. Thesis 1.7 concentrates to a more technical details of customization and features to improve optimization compared to Thesis 1.6 deficiency. So what's new with Thesis 1.7 version? Hold on as Thesis 1.7 lets you set up site the easier way. Save and restore options at hand and set up efficiently. Also of sharing font settings and a design that will likely consider cool site skins for developers. Thesis theme is optimized for search engine functionality. In contrast, it's not easy because it lacks accuracy and strict controls but Thesis 1.7 will probably feed your needs with its SEO controls. Page control indexing as well as option panel for the category, tag pages and archive details. A simple filter that allows you to show or hide headlines to create more miscellaneous post styles. Wise and intriguing mere say! Important thing to consider in building a better site is the functionality of internationalization. Thesis 1.7 code strings works to define a translation friendly site. Thesis 1.7 is really promising and do jazz up our needs to enjoy a different way to publish content on web. Explore and discover! What can you say about the new version of Thesis theme? What about its new features? Let us know! Sa wakas nakarating din ako sa mga Abentura ni Goyo. Isang pagbati mula sa KS Blog! Maganda ang punto ng iyong tala. Kahit na maikli lamang ito nandoon naman ang mga pangunahing ideya. Lalo na ng gabay ng mga manlalaro ng RoM dahil sa karagdagang impormasyon ng mga klase ng tauhan sa laro. Goodluck sa ating lahat! Sana magkaroon ka rin ng pagkakatong mabisita ang aking weblog entry at magbigay doon ng puna. Palitan din tayo ng link. 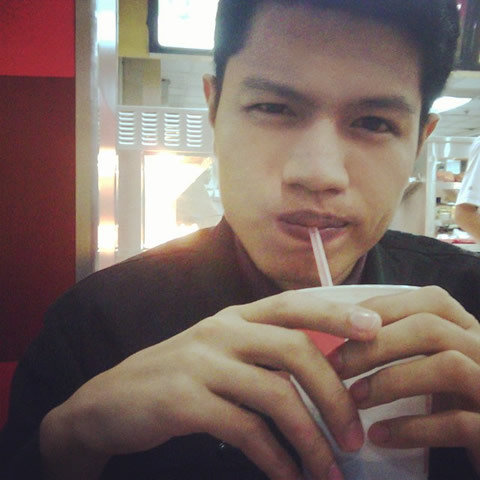 Mabuti ba iyon? Salamat.